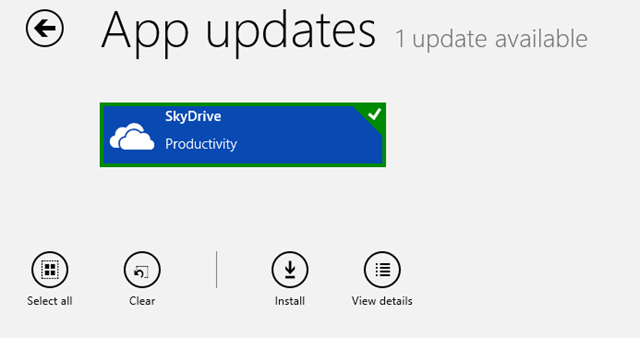 SkyDrive wants to make it clear all barriers have been removed in accessing your files. Wherever you are in the world. 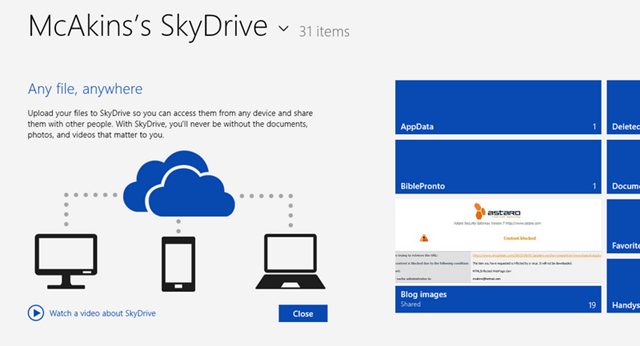 Pressing on the “Watch a video about SkyDrive” launches the tutorials about SkyDrive to newbies to show what SkyDrive is all about. Letop, this video is running in the SkyDrive itself, it doesn’t drop you to the video player. Pressing the Back button takes you back to the intro Screen. 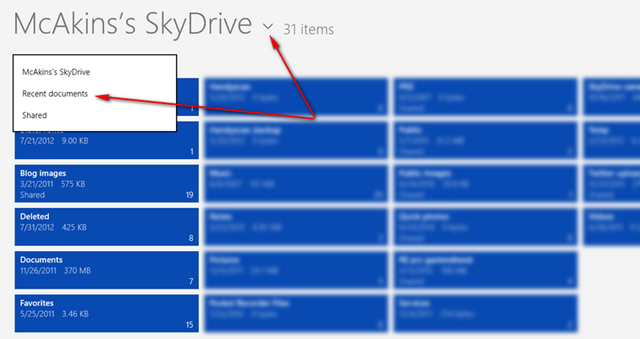 Have you noticed anything new in SkyDrive? Let the world know here below in the comments. Letop, you may not see this update as I have forced-downloaded it. I mentioned how you can force-load an update on my buddy WindowsObserver.com Site. Are you seeing other built-in Apps updates, let me know in the comments below too. I also got it and the option to change view type in also there.